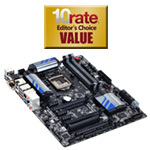 This is a solid motherboard if you are looking to purchase a middle of the road performer. It has just about everything you need to turn your computer into a powerhouse. Support for the next generation of AMD processors is buit-in. You get plenty of blazing fast SATA and USB 3.0 connections. The board supports multiple graphics cards and hard drives up to 3TB in size. What else do you really need? One neat feature is 3x faster charging of your smartphone or tablet on the USB 3.0 ports. This motherboard can be inside of your computer for the price of $134.99. The 990FX Sabertooth is a great motherboard for any computer that you plan on being a powerhouse. Proccesing power will not be a worry since it uses a wide range of the latest AMD processors. You’ll be able to load plenty of RAM, use multiple video cards, choose from 8 SATA connections, and 18 USB connections. The personalization for your machine is endless. ASUS also loaded it up with a lot of their useful special features like Thermal Radar, a special heatsink coating, easy BIOS upgrading, and electrostatic discharge protection. 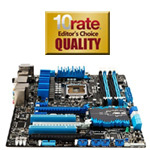 This is a very powerful motherboard with a ton of useful features. You can pick it up for $189.99. If you are looking for a reasonably priced motherboard that competes with some of the best on that market, this is the one. Why is it so great? Intel processors and some of the special features that come with the chipset add some fantastic functionality. You get Intel Smart Response, Smart Connect, and Rapid Start technologies to make your computer fast and able to talk to all of your wireless devices. It has an HDMI out on the board in case you don’t plan on expanding the video capabilities from out of the box. You can get the ASUS P8Z77-V LX for $149.99. You really can’t go wrong with the Intel name.If you want ultimate compatibility with your Intel processor this is the way to go. It has DVI and HDMI connections on the board out of the box to support integrated HD graphics from the processor, 10-channel audio decoding and Intel Fast Boot technology. Since this is a pretty good name motherboard you know you are going to have a dependable piece of equipment in your computer. It’s also pretty easy to get going. You can find this on sale for $89.99. This is a very modest motherboard from Gigabyte. It has every thing you need to get a fairly decent computer running. If you don’t mind skipping on the Intel chips and processors, this would be a great route to take. You can install up to 16GB of memory, which is plenty for just about anything. It supports multiple graphics cars and has 8 channel HD audio. There are plenty of 6Gb SATA connections and the board can support a 3TB hard drive. So if you are looking for a powerful office computer or a great media system, this will get the job done for the right price. You can find it for $91.25. Asus makes some great motherboards and this one is no different. Don’t let the price discourage you if you think the best is the most expensive. This one is going to do just about everything you need it to. Just not to the max like some of the other fully loaded motherboards out there. 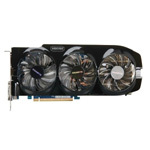 It supports multiple graphics cards for top of the line video and gaming performance. Like with all ASUS motherboards you get cool things like USB 3.0 boost, Remote GO! wireless connections, turbo processing, and all around energy efficiency. You can find this one on sale for the great price of $105.00. 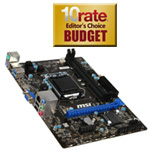 This motherboard may be on the budget side of the room, but it still has a little kick in it. You can make your computer fly with support for up to an 8-core CPU. The board supports a max of 32GB of ram, 6 PCI slots (2 of them are express x16), and 7.1 HD audio. 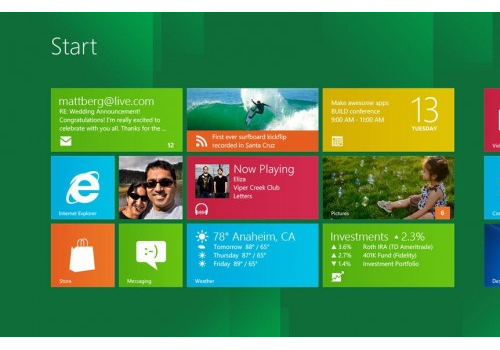 It does support multiple graphics cards if getting HD video and gaming are high on your priority list. If you are thinking about building a gaming machine on the cheap, the ASRock 970 will surely be the way to go. You can find this model online for $74.99 to $99.99. Every motherboard included on the list is capable of running a worthy computer. It all depends on how much you want to push the power, create a reliable machine, or have ultimate functionality with all your devices. Here are some key points to look at that will help you determine which motherboard will be perfect for you. Intel or AMD is the question here. Most of the motherboards have pretty wide range of support on either side of the line. Just look at the socket and you’ll know which chips will actually fit on the board. 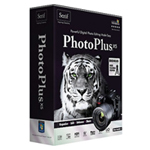 The manufacturers are very good at supplying lists of compatible processors as well. Take a look at those and you’ll be confident your parts are compatible. Every board on the list supports up to 16GB of ram or more. This is going to be far more than you need for everyday computing and solid gaming. 32GB is the max on a lot of the motherboards. If you are aiming to make the fastest possible computer out there, this is the way to go. It’s also important to take a look at the MHz supported. This tells you exactly which type of ram to use and how fast it is accessed. These are slots on the motherboard that let you expand the machine with peripherals. Things like video cards, sound cards, firewire, and extra SATA ports can be plugged in. The PCIe slots are smaller so they take up less room on the board. If you plan on expanding your computer greatly make sure the motherboard will allow it. These ports allow connectivity of hard drives, external hard drive, solid state drives, keyboards, headsets, and just about anything you can think of. Most of the motherboards on the list house more than enough of these connections in many different configurations. Each type of connection offers various speeds, so be sure you have enough fast connections if that’s what you want. These are some of the most important aspects, but it can get much deeper. Performance motherboards have a lot of heat fighting features, overclocking for extra speed, and BIOS upgrading to stay up to date on background software. If you want to dive into that world there are plenty of motherboards that will accommodate that.